With firm commitment to their pledge in supporting the Sierra Leone Premier League Board (SLPL) and promoting Sierra Leone football as a whole, one of the cooperate houses known for supporting and promoting national development, the Rokel Commercial Bank (RCB), on Thursday 31st January, 2019 presented a cheque of fifteen million Leones (Le 15,000,000) to the chairman of the Sierra Leone Premier League Board, Emmanuel Saffa Abdulai Esq. This gesture is in fulfillment of their promise to the PLB for the ongoing Premier League. 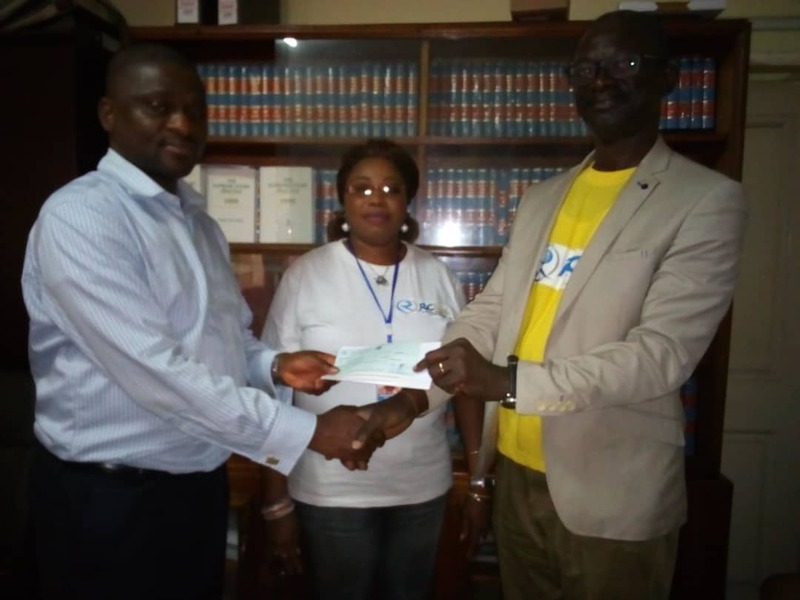 Receiving the cheque on behalf of members of the Premier league Board (PLB), Emmanuel Saffa Abdulai said he is grateful to the management of RCB for their support in the reviving process of Sierra Leone football. He promised that the PLB will use every dime of the money presented for the league's use and further called on other cooperate houses to follow suit the steps put forward by Rokel Commercial Bank in the promotion of national development.